Our experienced sales staff is dedicated to satisfying our customers’ need. We encourage you to take the time to browse our inventory online, request more information about vehicles, set up a test drive or inquire about financing. If you do not find the vehicle you are looking for on our website, fill out the Vehicle Finder Service with a description of the Jaguar of your choice and we will notify you when it has arrived. Or click on Contact Us for interactive driving directions and other contact information to speak to a sales representative. We look forward to serving you. indiGO Auto Group was founded by Todd Blue to celebrate automobile passion by creating an experience for clients that activates a new way to own and enjoy the best brands in the world with a white-glove standard. indiGO Auto Group represents fourteen franchised dealerships in five United States markets including Houston, Texas; Rancho Mirage, California; Riverside, California; Palm Springs, California; and St. Louis, Missouri. indiGO Auto Group dealerships include Porsche North Houston, Lamborghini Houston, Rolls-Royce Motor Cars North Houston, indiGO Classic Cars, Jaguar Riverside, Porsche St. Louis, BMW of Palm Springs, and the Desert European Motorcars Campus, which includes nine brands: Porsche, Bentley, Lamborghini, Land Rover, Jaguar, Rolls-Royce Motor Cars, Audi, Aston Martin and McLaren. Each dealership is award-winning and managed by a staff which seeks to provide a high-touch, white-glove service to all of our customers. Porsche North Houston is housed in one of the largest and most state-of-the-art Porsche dealership facilities in the United States. Porsche North Houston is a Porsche Premier Dealer – a designation given to the top 25 dealerships in the nation for six years since 2010. In 2017, Porsche North Houston earned the unique distinction of being both an authorized Porsche Classic Partner and one of only six Porsche Flagship dealers in the United States. Porsche Flagship dealers are allocated the most desired vehicles from Porsche Exclusive Manufaktur division of Porsche. Porsche North Houston was also ranked on the list of “Best Dealerships to Work for in the United States and Canada” by Automotive News in 2015 and 2016. Lamborghini Houston and Rolls-Royce Motor Cars North Houston, have recently finished construction on their joint luxury showrooms. In 2017, indiGO opened Rolls-Royce Motor Cars North Houston, situated between Porsche North Houston and Lamborghini Houston on indiGO’s Houston luxury campus. Also, located on-site, indiGO Classic Cars specializes in heritage classic cars including post-war European sports cars and American classics from the 1950s, 1960s, and 1970s. In May 2015, indiGO acquired two Porsche dealerships in the St. Louis area. After consolidating these two Porsche dealerships, indiGO created Porsche St. Louis. Since then, indiGO Auto Group has constructed what is arguably the most elegant and modern automobile facility ever built in St. Louis. Porsche St. Louis earned the Porsche Premier Dealer designation for 2017 and 2018. In California, Rolls-Royce Motor Cars Rancho Mirage was deemed the 2015 Global Provenance Dealer of the Year, and Jaguar Rancho Mirage received the Pride of Jaguar award for retailer excellence in both 2014 and 2015. Audi Rancho Mirage has been an Audi Magna Society Dealer for the past two years. In 2016, indiGO acquired BMW of Palm Springs. In 2017, indiGO added Lamborghini Rancho Mirage to its Desert European Motorcars Campus. 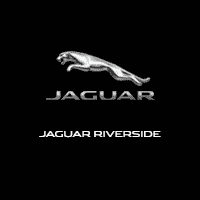 In 2018, indiGO acquired Jaguar Riverside. At the Ritz-Carlton Rancho Mirage, indiGO Auto Group operates indiGO Collectibles. IndiGO Collectibles is a boutique that sells a collection of merchandise reflecting indiGO’s mission to celebrate the heritage of the brands it represents. While indiGO Auto Group facilities are timelessly modern and offer incredible boutique experiences, indiGO’s success and customer satisfaction stems from our mission. The indiGO Auto Group team is dedicated to sharing our passion for automobiles with our existing customers and new friends of the indiGO Auto Group. Above all, indiGO is conscious that the desire to drive great automobiles will never be lost if passion remains a significant ingredient in the design, manufacturing and ownership experience delivered to all we serve. One visit and you’ll discover how indiGO will Activate Your Ownership!